Meet the black inventors who lived their dreams-from the early years to modern times Benjamin Banneker Andrew Jackson Beard George E. Carruthers, Ph.D. George Washington Carver Michael Croslin, Ph.D. David Nelson Crosthwait Jr. Charles Richard Drew, M.D. Meredith Gourdine, Ph.D. Claude Harvard Shirley Ann Jackson, Ph.D. Frederick McKinley Jones Percy Lavon Julian, Ph.D. Ernest Everett Just, Ph.D. Lewis Howard Latimer Jan Earnst Matzeliger Elijah McCoy Benjamin Montgomery John P. Moon Garrett Augustus Morgan Norbert Rillieux Earl D. Shaw, Ph.D. Madame C. J. Walker Daniel Hale Williams, M.D. Granville T. Woods Jane Cooke Wright, M.D. 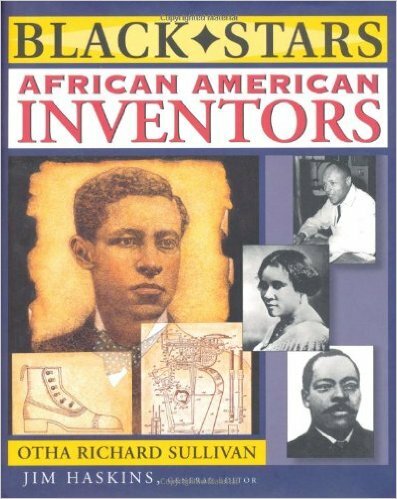 For more than three centuries, African American inventors have been coming up with ingenious ideas. In fact, it is impossible to really know American history without also learning about the contributions of black discoverers. This collection brings their stories to life. In every era, black inventors have made people's lives safer, more comfortable, more convenient, and more profitable. This inspiring, comprehensive collection shines history's spotlight on these courageous inventors and discoverers. One by one, they persevered, despite prejudice and obstacles to education and training. These stories show you how: * Benjamin Montgomery, born a slave, invented a propeller that improved steamboat navigation. * Jan Earnst Matzeliger, the son of a Dutch engineer, invented a machine that revolutionized the shoe manufacturing industry. * Madame C. J. Walker, born two years after the Civil War emancipated her parents, invented a product that helped make her a millionaire. * Dr. George E. Carruthers, an astrophysicist, invented the lunar surface ultraviolet camera/spectrograph for Apollo 16. * Dr. Jane Cooke Wright, a third-generation physician and pioneer in the field of cancer research discovered a method for testing which drugs to use to fight specific cancers. Dr. Wright became the first woman elected president of the New York Cancer Society and the first African American woman to serve as dean of a medical college. This outstanding collection brings to light these and dozens of other exciting and surprising tales of inventors and discoverers who lived their dreams.